Kenny Dalglish is a man of contrasting qualities. He’s a deceptive five foot eight inches, yet immense in stature. He is often adorned with a seemingly prickly demeanour, yet a transformative warm grin and twinkle of an eye are never far. King Kenny the footballer had no stand-out skill, yet he excelled in every category. His body language appeared to communicate an almost blasé lack of direction; firmly on the periphery of the action, he invited defenders to assume nothing. The split second they did, a shoulder would drop, space where there was none would appear, and a finish of ruthless quality would be applied. The warm grin and twinkle in the eye was part of every goal celebration. Born in Glasgow in 1951, Dalglish set tones of contrast by growing up a Rangers fan and starting his footballing career as a goalkeeper. After unsuccessful trials at Liverpool and West Ham in 1965, Celtic came calling, quite literally, a year later. Dalglish ran upstairs to remove the Rangers posters from his bedroom walls before discussing terms at the family home with his parents and Celtic’s assistant manager, Sean Fallon. Initially loaned to local side Cumbernauld United, Dalglish combined a 37-goal debut full season with an apprenticeship in joinery. In an early example of quiet confidence and deficiency, Dalglish experienced an early stand-off with Celtic manager, Jock Stein. The legendary boss wished for Dalglish to complete another year at Cumbernauld, but the player wished to turn professional. Dalglish somehow got his way. Having spent the late-60s split between the fringes of Celtic’s first team and their highly successful reserves, it wasn’t until 1971/72 that Dalglish cemented his place in the senior squad. 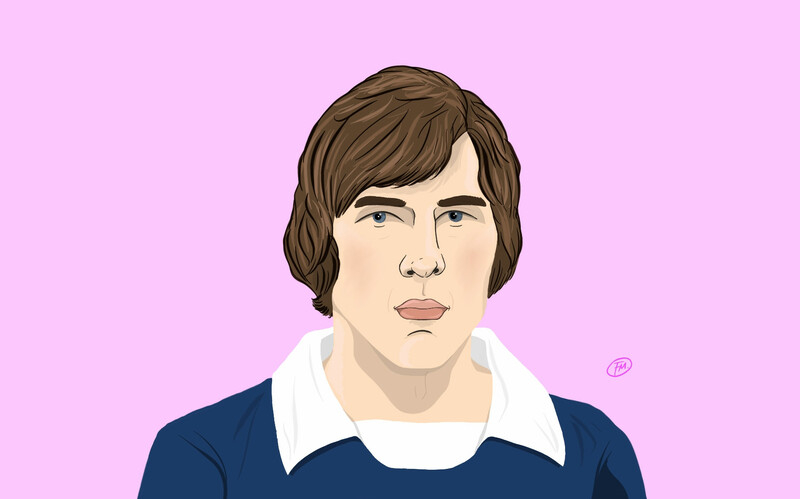 The converted goalkeeper had moved from midfield to attack, and spearheaded a team that claimed four league titles, four Scottish Cups, and one Scottish League Cup by the time he moved to England. He was also well on the way to being Scotland’s record appearance holder and goalscorer. Signing for Liverpool in August 1977, Dalglish carried the requisite of replacing Kevin Keegan. Coupled with his aloof ways, a winning goal, one of 31 for the season, in the 1978 European Cup final culminated a fine debut season, which ensured any lingering doubts were quashed. Dalglish’s 13-year stay at Anfield coincided with the clubs most successful era, which is no coincidence, as he won six league titles, three European Cups, four League Cups, and a solitary FA Cup and UEFA Super Cup. Forever unassuming, beneath Dalglish’s publicly aloof dispositions, a character of many qualities bubbled. Nearing the penalty area, with a football in close proximity, the strength, flair, confidence, artistry, defiance and sheer joy at goalscoring matched the versatile and exuberant man described off the pitch. Following the Heysel disaster in 1985 and the resignation of Joe Fagan, a 34-year-old Dalglish became player/manager at Anfield. Though he started fewer matches, goals and trophies remained frequent. However, few things last forever. As manager, Dalglish’s presence in the aftermath of the Hillsborough disaster was colossal and heroic, and few can doubt that the trauma, coupled with a coming of age of many of Liverpool’s players, paved his exit. Dalglish resigned in February 1991. After a brief sojourn, he guided Blackburn Rovers to the unthinkable heights of the Premier League title in 1995, and came close to repeating that success with Newcastle United. The decade closed with an ill-fated return to Celtic, initially as Director of Football, before taking over the proverbial hot seat. A decade of charity work and ambassadorial duties ensued, before Dalglish appeared to enjoy and endure one final stint in the dugout. His 2009 return to Liverpool heralded the club’s only recent silverware – the 2012 League Cup – yet will remain blemished by struggles for consistency, and his defiant defence of Luis Suárez’s racial abuse storm.